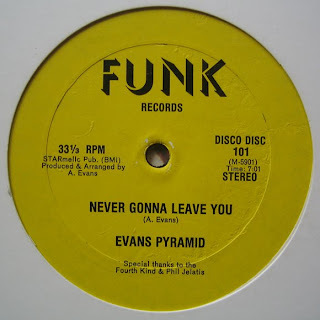 We are looking for anyone who has any contact information or connection with the performers on this record or any Evans Pyramid or Royale release. We are a record label specializing in releasing rare and unreleased funk and soul. You can contact us at info@culturesofsoul.com. We would love to see this music receive the exposure that it deserves. You may have been wondering why we haven't been posting for a long time. Well we have been quite busy. 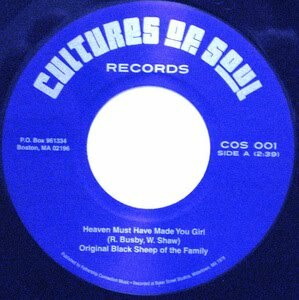 We've been working on our new record label and brand, Cultures of Soul. It's all things funk, soul, jazz, disco, afro beat, latin, and more. We've released 3 seven inches so far and are working on reissuing Stanton Davis' brilliant jazzfunk opus, Brighter Days. You can pruchase them at www.culturesofsoul.bigcartel.com.